As part of its global innovation strategy, Trojan Battery Co., LLC, manufacturer of deep-cycle batteries, has named Ivan Menjak as director of global product solutions. In this role, Menjak will be responsible for managing Trojan’s comprehensive product portfolio as well as identifying new opportunities for expanding its energy storage solution offerings. Menjak brings more than 20 years of strategic, technical and marketing expertise in battery technology and products to this position. With a strong background in advanced battery technologies and systems, he has held senior management positions at both lead acid and lithium battery firms. 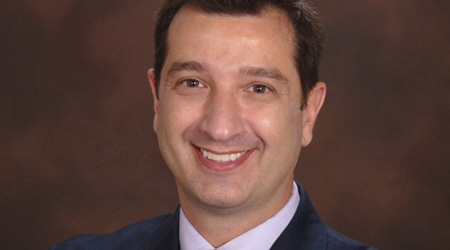 Menjak served as senior director of business development and strategic marketing at Energy Power Systems, a developer of lead acid battery technologies, and was responsible for developing value propositions, go-to-market strategies, strategic partnerships and financial models for advanced lead acid battery products. While at A123 Systems, a manufacturer of lithium-ion batteries, Menjak was vice president of corporate business development and spearheaded product management and the launch of lithium ion cells into stationary and transportation markets. He also was responsible P&L activities for the company’s motorsports business unit and lead global applications engineering. In addition, he held strategy and engineering management positions at Bosch Battery Systems, formerly Cobasys, which supplies nickel metal hydride (NiMH) and Li-Ion battery systems. Menjak earned his MBA and bachelor of science degrees in mechanical engineering from Lawrence Technology University in Southfield, Mich.